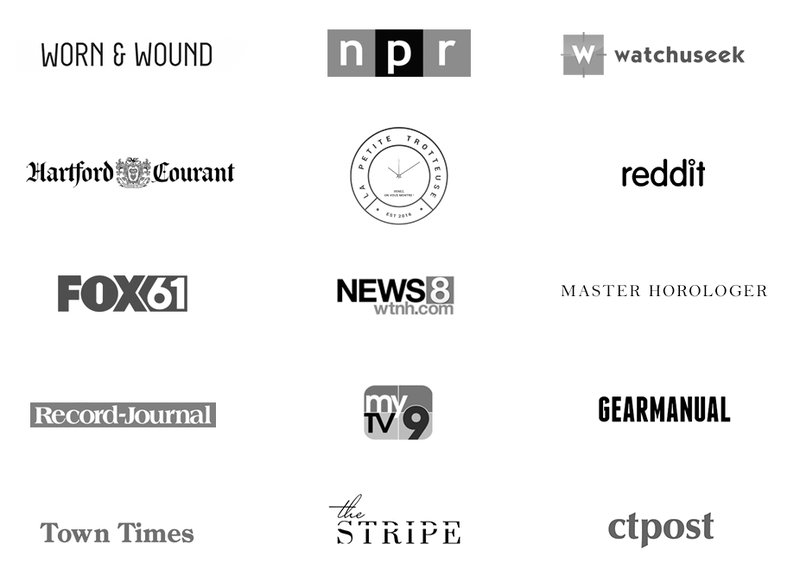 Press & Media Coverage - Hawthorn Watch Co.
We’ve been featured in all forms of media, from well respected watch websites like Worn & Wound, to radio interviews with NPR, television interviews with WTNH and Fox 61, and a Sunday, front page newspaper spread in the Hartford Courant. Looking to write a story about Hawthorn? Want to do a review of our watches? We’re always happy to share our journey and products. Contact hawthornwatchco@gmail.com or use our contact form. You can also download images of our products from our media kit.